The year was 1992. George H.W. Bush was still in the White House—a presidency that was in many ways an extension of Ronald Reagan's two terms. At the time, Soros, a Hungarian-born financier who had spent the 1980s donating hundreds of millions of dollars to fighting the Soviet totalitarian state in Central Europe, didn't know what his next big cause would be. Once the Soviet empire fell (and fell quickly), Soros faced a dilemma: Which oppressive government regime should he fight next? Soros had immigrated to the United States in the 1950s. He was increasingly rich and also increasingly alarmed about the escalating and punitive nature of the war on drugs. But was it worth fighting a battle within his newly adopted country? He didn't know much about drug policy, so he asked one of his aides who did. His aide suggested he meet with Ethan Nadelmann, a young Princeton professor who advocated for legal reforms. In 1992, there were few researchers working on drug policy, but Nadelmann was one of them. In a recent interview with The Stranger, Nadelmann recalled that it was a 95 degree summer day in New York City when the two of them met. Soros summoned Nadelmann to his office and the two had lunch. Nadelmann remembers the meeting being a "lively and feisty conversation," and that it ended with Soros feeling comfortable enough with the young professor to offer him a deal. "I see we agree on the basic issues," Soros told Nadelmann, according to Nadelmann's recollection. "Now, I am a very busy man, but I have substantial resources. So let's assume that I want to empower you to accomplish our shared objectives." And with that deal, Nadelmann and Soros changed the United States forever. Shortly after that fateful meeting, Soros made the biggest wager of his entire career: He shorted the Bank of England, betting $10 billion that the institution would devalue its currency. When the bank unexpectedly did just that on September 16, 1992, on a day remembered as "Black Wednesday" in the United Kingdom, Soros made $1 billion in profit in a single day. The billionaire was now a mega-billionaire. He has since gone on to donate an estimated $32 billion to various causes, but his war on the war on drugs may turn out to be his most effective endeavor ever. Over the ensuing three decades, Nadelmann used Soros's cash to coordinate nationwide drug-reform initiatives and build a network of wealthy pro-pot donors. Those donors included two other billionaires: Peter Lewis, the CEO of Progressive Insurance, and John Sperling, the founder of the University of Phoenix. Nadelmann also got some cash from a Rockefeller heir, as well as from George Zimmer, the founder of Men's Wearhouse. 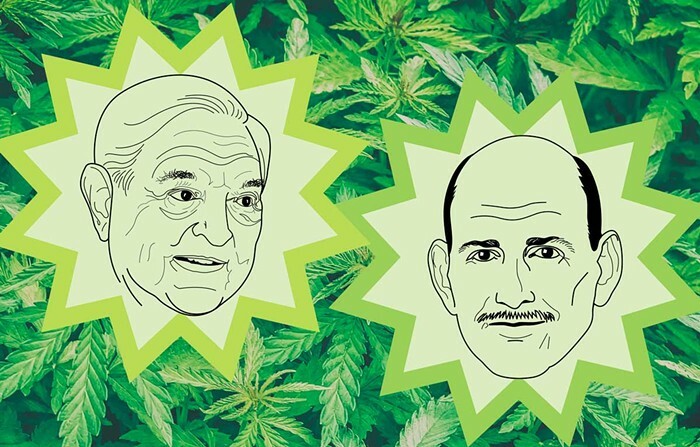 The three billionaires who formed the core of Nadelmann's funding network—Soros, Sperling, and Lewis—spent more than $70 million on pot reform over the next 20 years, and Nadelmann delivered a 20-year string of pot-reform victories that have pushed the United States to the precipice of full legalization. How much credit do we owe these three billionaires? For Jonathan Caulkins, a drug policy researcher at Carnegie Mellon University, the answer is straightforward. "The simplest explanation of why marijuana reform happened is that three billionaires decided it should happen and they bankrolled the process for many, many years," Caulkins said. Caulkins's confidence behind his claim makes a lot more sense when you realize how drastically the world has changed since Nadelmann first sat down with Soros. In 1992, nearly 80 percent of Americans said pot should be fully illegal. The war on drugs, invented by Richard Nixon and perfected by Ronald Reagan, would soon be picked up and further exacerbated by Bill Clinton. Every aspect of popular American culture, from mainstream movies to televangelist preachers to Democratic presidents, was dead set on keeping pot illegal. Now the tables have turned. Those baby boomers who once cheered on the war on drugs are standing in line at dispensaries so they can refill their vape cartridges. More than two-thirds of the US population lives in states that have weed-friendly laws. Ten states have legalized recreational pot and 33 states provide medical access to cannabis. It's becoming an almost disqualifying factor in the 2020 presidential race for the Democratic nominee to not support national pot legalization. And even Republican politicians, seeing the polls showing that a majority of Republicans support legalization, are starting to support relaxing pot prohibition. Which is all to say: We are in a drastically different place 27 years after a billionaire told a young drug policy professor that he wanted to put his "substantial" resources behind pot reform. And none it may have happened without that help. The money that Soros and the other wealthy men put in helped change the way the United States looks at weed. Their work on pot reform is both a story of how billionaires can force policy changes in this country and a how-to guide for political activism. Why was pot reform successful when, meanwhile, activists have made comparatively little progress on other progressive issues—from fighting climate change to reducing income inequality to rebuilding our nation's infrastructure? It's a complicated answer with one very simple source of money. Billionaires put us on the path toward legal weed in the US. So you should probably thank Progressive Insurance, Men's Wearhouse, and America's progressive billionaires the next time you load a bowl of legal weed in your bong. Every stoner in America knows the number 420. But if stoners were true students of history, the number 215 would be the most famous three digits in the world of weed. That's because, four years after Soros and Nadelmann met, a successful California voter initiative called Proposition 215 was the first major chip in the wall against pot prohibition. When California's voters approved Proposition 215 in 1996, the state became the first in the country to legalize medical marijuana. Voters there gave pot patients and caregivers the right under state law to cultivate and possess pot if they could prove a doctor recommended pot as a treatment. The law was the most important early win for the legalization movement. It showed that there was a winning path for pot legalization moving forward: Put the faces of the seriously ill medical users on the pot-reform movement and show that doctors supported medical marijuana. For the first time in decades, the wall of prohibition, backed in a big way by federal bureaucracy, showed signs of weakness. Again, without George Soros's money, it probably would have never happened. Proposition 215 needed about 700,000 signatures to get on the ballot. But by December of 1995, with the deadline approaching, the initiative's creator, Dennis Peron, had collected only about 25,000 signatures. That's when Ed Rosenthal, a longtime marijuana grower and activist, called Nadelmann and asked if he could persuade Soros to help out. Eventually, Nadelmann convinced Soros to contribute $500,000. And not only that, he also recruited Zimmer and Lewis to contribute or raise half a million dollars each. Nadelmann had started to embrace his role of bringing together ultra-wealthy men to fight for pot reform. "They didn't know one another," Nadelmann told me. "My role by and large was to get George Soros, Peter Lewis, and George Zimmer into the three-way partnership. It wasn't going to work unless we raised the money. So then the question is this: Would Peter Lewis have been willing to come in if George [Soros] wasn't involved? Would George Zimmer get involved without George [Soros]? He was very personally committed, but I don't think he was going to put up that much funding. He was not inclined to go it alone and really wanted to be in partnership with George [Soros]. Once George [Soros] said yes, I could call Peter and call George Zimmer and say George [Soros] would fund this." Nadelmann said he intentionally tried to stay out of the media spotlight because it "wouldn't look good for someone in a New York office to be orchestrating that." But he also kept working away. At one point, it started to look like the campaign still needed more money, and that's when Nadelmann convinced another wealthy New Yorker, Laurance Rockefeller, the grandson of oil tycoon John D. Rockefeller, to donate $50,000. Nadelmann's fundraising worked. Proposition 215's supporters were able to hire a professional campaign manager and signature gatherers and get the measure on the ballot. Supporters recruited AIDS and MS patients and their doctors to be the face of the campaign. California's voters were convinced: Proposition 215 passed with more than 55 percent of the vote. For the first time in modern history, an American state gave people a clear legal right to grow and possess pot. Keep in mind just how deeply unpopular drugs and pot were in the 1990s. This was the peak of the war on drugs, when both Democrats and Republicans were trying to outdo each other on how punitive they could make crime laws. Ronald Reagan had increased federal expenditures on drug control from $1.5 billion in 1981 to $6.6 billion in 1989, according to a 2003 study published by Peter Reuter in the peer-reviewed journal Crime and Justice. The average time served in federal prison for drug crimes went from two years in 1980 to more than six years in 1992, according to Reuter. While drug sentences continued to increase, so did the number of inmates serving time for drug offenses in federal jails. The number of "cell years" being served for drug offenses in federal jails went from 4,500 (in 1980) to 85,000 (in 1992) to 135,000 (in 2001). And the leadership of President Bill Clinton only made things worse. During his time in office, from 1993 to 2001, the number of federal prisoners serving time for drug offenses went from 35,398 in 1992 to 63,898 in 2000, according to Reuter's study. The general public was overwhelmingly in favor of these punitive drug policies. The country had recently gone through a profound shift in public opinion against pot. In 1978, 30 percent of Americans thought pot should be legalized. But by 1990, support for legalization had dropped to just 17 percent, according to the Pew Research Center. Why was pot so unpopular in the 1980s and 1990s? According to Caulkins, the Carnegie Melon professor, we can largely blame the baby boomers. "The baby boomers had teenagers at home, and one of the strongest predictions of opposition to legalization is whether or not you have kids at home," Caulkins said. This was the era of peak family time for baby boomers, defined as people who were between the ages of 26 and 44 in 1990. Reagan's message that pot was a gateway drug to crack, that it was physically damaging, and that it was deeply immoral resonated with many of these young parents. The trend would eventually reverse. By 2013, when baby boomers were between the ages of 49 and 67, 50 percent of them supported legalization. That's a surprising turn—generally speaking, people become more conservative as they age, not more progressive. So what changed to convince baby boomers to chill out about weed? Medical marijuana initiatives, starting with California's Proposition 215, convinced people that Reagan and Clinton were lying about pot. "The medical marijuana movement reduced the stigma," Reuter told The Stranger in an interview. "If it was plausible as a medicine, it was less likely to be kept illegal. I think it just confers a respectability to the drug—if this drug is medicine, it can't be that dangerous." In Proposition 215, Nadelmann had delivered his first major victory for pot reform, four years after making a deal with Soros. And he kept pushing ahead. Two years after California legalized medical marijuana, voters in Oregon, Alaska, and Washington followed suit. By 2008, 13 states had legalized some form of medical marijuana and Nadelmann's three billionaires—Soros, Lewis, and Sperling—had spent $15.7 million pushing for medical initiatives. That figure comes from an analysis by the nonprofit National Families in Action, which opposes marijuana reform. National Families in Action paints the billionaires' involvement as a subversion of democracy, and as an attempt by wealthy people to create an industry they can make money from. But Caulkins, who himself is often critical of the legalization movement, said it's unfair to say that these billionaires were acting only out of self-interest. "I don't think these billionaires were doing this because they thought they were going to profit from it," Caulkins said. "I think they were genuinely believing they were going to make the world a better place." Jolene Forman, a staff attorney at the Drug Policy Alliance, the organization that Nadelmann founded and that Soros uses to fund marijuana initiatives, agreed that billionaires were integral to the movement. But so was the larger social-justice argument for legalization. "You have people really doing this work for human-rights reasons, so I think it's a gross oversimplification to say that just because three donors donated that's why the laws are this way," Forman said. "You're not [working on pot reform initiatives] because you're paid big bucks. You're doing it because you think the war is a failure, that black and brown people have been unequally harmed by our federal drug policies and their enforcement." That's one of the powerful aspects of the pot-reform movement: It had big donors to help pay for things, but also a growing group of social-justice advocates who formed a grassroots constituency. This combination of billionaire funds and passionate activists turned into a winning formula for medical marijuana. And as access to medical marijuana spread, it only increased acceptance of the drug. Nadelmann told me that internal polling conducted during these ballot measures showed that the strongest predictor for supporting legalization was if a voter knew someone who had personally used medical marijuana to treat a condition. That was a stronger predictor than if someone had either personally smoked pot or knew someone who smoked pot. And that, of course, goes back to that first time voters were exposed to the idea of medical marijuana: Proposition 215. 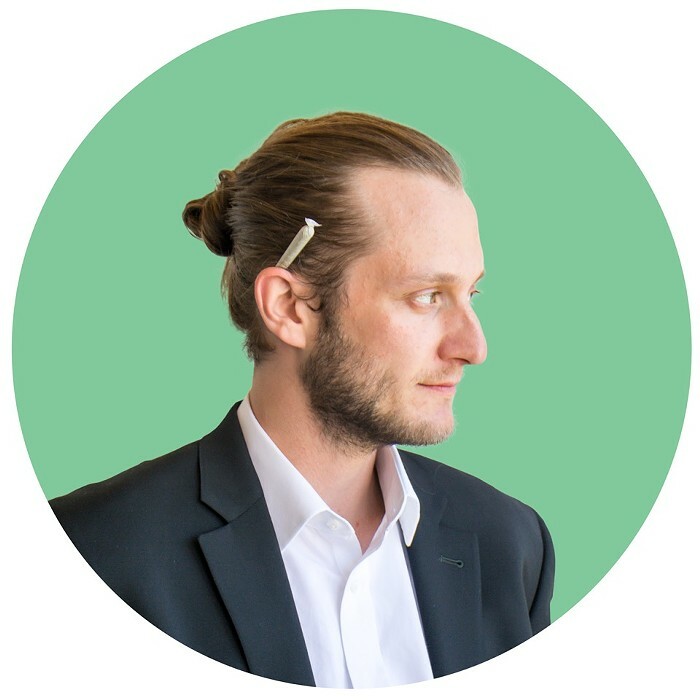 "Prop 215 really helped transform the popular media image of cannabis reform, from the 17-year-old high-school dropout with hemp leaves in his blond dreadlocks to some older people struggling with chemotherapy or MS or AIDS wasting syndrome or some other medical condition," Nadelmann told me. But while the media and the public got increasingly on board with pot reform, mainstream politicians stayed stubbornly resistant to change. The Clinton administration called Proposition 215 a "falsely labeled, cynical initiative." After the law passed, the administration started aggressively going after physicians who recommended pot, arguing that they were violating federal law by recommending an illegal, Schedule 1 substance. A few billionaires had been able to help convince California's voters to recognize medical marijuana, but the pot-reform movement was still far away from the ultimate goal: total legalization. For Alison Holcomb, the ACLU attorney who wrote Initiative 502 and ran the campaign for Washington State's groundbreaking pot legalization, there was no single moment that led to Washington legalizing pot in 2012. Instead, there had been incremental progress in the 20 years since Soros and Nadelmann hatched their master plan. "If I were going to try to break it down at this point, I would have to paint a picture of some sort of domino arrangement where it's not just one single line of dominoes but one of those beautiful fancily arranged domino setups where multiple lines converge and the power builds," Holcomb recently told me. Holcomb pointed out a long list of people and movements that led up to Washington voters deciding to legalize recreational cannabis with more than 55 percent of the vote. There was the medical marijuana movements that showed how pot reform could reduce "the pain and suffering of other human beings." There was the decriminalization movements that showed the sky wouldn't fall if cops stopped arresting people for pot. Holcomb also pointed to the work of Vivian McPeak and the pot rally he organizes in Seattle every summer called Hempfest, as well as the writings of Dominic Holden, a former news editor at The Stranger who frequently wrote about the social-justice argument for legalization. Holcomb also acknowledged Peter Lewis and George Soros, who together funded more than 60 percent of the Initiative 502 campaign. "Peter Lewis was critical. Drug Policy Alliance and Ethan Nadelmann accessing the resources that he had available was critical. It's a political campaign, and being able to get your message out to folks is really important," Holcomb said. "I think that back then it was necessary to have those resources to talk to voters, because I don't know if we would have gotten over the hump [without that money]." The two billionaires contributed a combined $3.69 million to the Washington State campaign, with Soros's money coming through a $1.6 million donation from the Drug Policy Alliance, which receives most of its funding from Soros. Initiative 502 also received $450,000 from Rick Steves, the travel writer and television host, and Steves's company, Rick Steves' Europe. The billionaires' involvement in Washington State's I-502 came in the midst of a 10-year spending spree on pot legalization initiatives. Soros, Lewis, and Sperling spent $2.8 million on Colorado's successful legalization initiative in 2012. After their success in Washington and Colorado, the three billionaires went on to spend $5.9 million in Oregon's 2014 successful legalization initiative. In 2016, the trio dropped tens of millions of dollars: $2.3 million in Arizona, $6.1 million in Massachusetts, $3 million in Maine, and a whopping $22.8 million in California to bring that state to full recreational cannabis legalization. Combined with earlier spending on medical marijuana initiatives, the three spent $71.3 million from 1996 to 2016 on pot reform alone. Each one of these legalization successes made it easier for a new state to legalize pot. "We are one country; we share one media culture. So when one state does something, that absolutely influences thinking around the country and around the world," Caulkins told me. "I also agree that the absence of the sky falling, most specifically with adolescent use, was huge in assuring people." Legalization also brought another argument for pot reform to the forefront: tax revenue. When Colorado and Washington started collecting tax revenue on legal weed, it established concretely that taxing and regulating the former black-market product was a guaranteed revenue source. Cash-strapped governments were taking notice. Tax revenue became another argument in the increasingly long list of reasons to legalize. And this long list—which includes social-justice issues like the unfair impact of criminalization on people of color as well as libertarian issues like not wanting the government to block adults from using a mostly safe substance—appeals to people with a wide variety of political orientations. Everyone from moderates to libertarians to socialists can find a way to get behind the issue, which is one of the reasons legalization has been so successful, according to Ekow Yankah, a law school professor and political theorist. Yankah wrote a 2011 article predicting the continued spread of pot reform—not because of opinion polls or the amount of money billionaires were putting behind it, but because of the philosophy of pot reform. "The core of my argument is that philosophy matters. If you find something where there are a bunch of views that all coalesce around one philosophical position... it makes it much harder to keep it at bay," Yankah told me. "I think it was people stepping back and saying no matter what your underpinning, you can't find a good way to support this [prohibition]." As the number of states with legal and medical pot increase every year, there remains just one glaring barricade against true pot reform: the federal government. Pot is still a Schedule 1 controlled substance under federal law, meaning it is considered one of the most illegal drugs in the country, more dangerous than meth. So it must be said: Even after more than $70 million, those billionaires have yet to truly accomplish complete pot reform. Nearly 27 years have passed since that young professor from Princeton sat down with that billionaire in New York City and asked him to support pot reform. Neither of them could have predicted they were setting off a chain of events that would forever change the way the world looks at pot. As of this writing, 10 states and Washington, DC, have legalized recreational weed. Medical marijuana is legal in 33 states, including deeply conservative places like Utah and Oklahoma. Two countries, Uruguay and Canada, have fully legalized pot, and it looks like the march of pot legalization has become an inevitability. Would that march toward full legalization have happened without the support of those three billionaires? Caulkins said he thought pot reform would have still happened, but it would have taken a different route. "I think that absent that sort of driving force, you would have instead had a liberalization that took the form of reduced penalties and decriminalization, possibly extending to home grows but not to a legal for-profit industry," Courier said. Legalization has spawned a multibillion-dollar industry. It appears to be growing at an almost limitless clip. Two pot research companies, Arcview Market Research and BDS Analytics, estimate that the global pot industry will grow from $6.9 billion in revenue in 2017 to $16.9 billion in revenue in 2019 to more than $31 billion in 2022. Other analysts, like Cowen Inc., have predicted even bigger figures, estimating that the global industry could be worth more than $50 billion in sales by 2026. Nadelmann told me that he thought it was unavoidable that pot reform would lead to for-profit involvement. "Legalization was inevitably going to mean this industry was going to be taken over by bigger corporations. We live in the most dynamic capitalistic society in history. There was no reason that wasn't going to happen," he said. Nadelmann was adamant that even though the work of pot- reform advocates has led to a massive industry, those capitalist interests played a minimal role in most of the reform movement's history. Also, none of the three billionaires own a cannabis business. They really weren't in it to profit from it. "I know from very deep personal experience that for-profit interests played essentially no role in marijuana legalization until 2016," Nadelmann said. And even if some rich people are getting richer off of legal pot, legalization is still having a positive impact on society as a whole. For Nadelmann, who has been interviewed on The Colbert Report and described in Rolling Stone as "the real drug czar," but who is now in semi-retirement, the feelings are nearly entirely positive. "Marijuana legalization is more or less unstoppable now, so that gives me a sense of tremendous pride," Nadelmann told me. "I remember when I started off on this thing 30 years ago as a professor at Princeton. People thought I was just on some quixotic mission or trying to accomplish the ultimate hippie objective... It's nice to be stepping back at this time in my life and feel like we had a monumental success."